Seller will entertain offers between $395,000 and $425,000. Gorgeous 2BR, 1BA end-unit condo. Perfect for first-time buyer, rental investment, or just a beach get-away! Bright & sunny with windows on 3 sides! 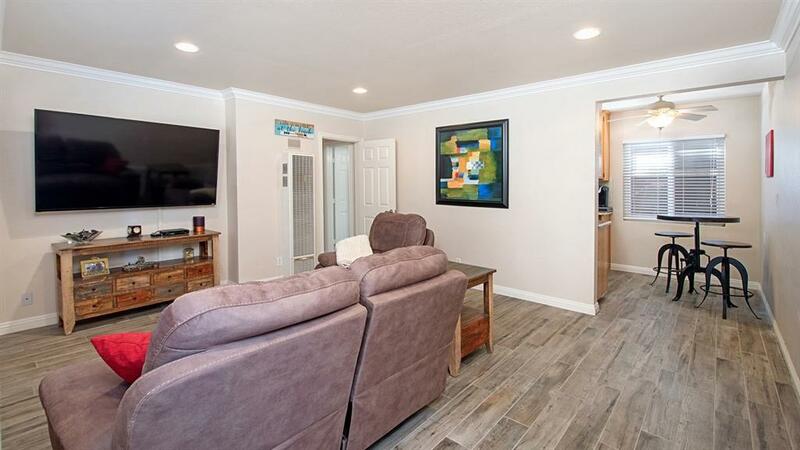 Move-in ready with beautiful tile-plank flooring, granite counters in kitchen, newer dual-pane vinyl windows, recessed lighting, remodeled bath, well maintained 12-unit complex with gated entry & tropical landscaping. Just a few blocks to PB's popular shops, restaurants, Kate Sessions Park & more! Listing provided courtesy of Dunn, Realtors/Park Pacific. Listing information © 2019 San Diego MLS, Inc.